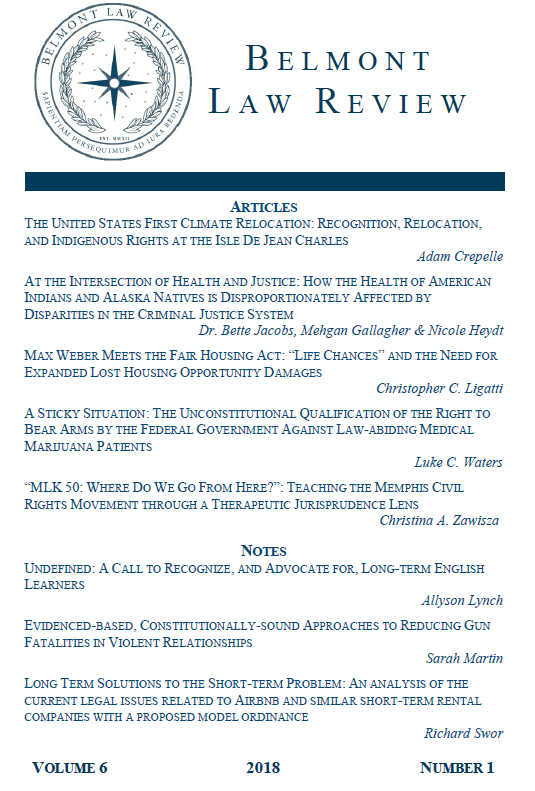 Articles and Notes from Belmont Law Review, Volume VI, Issue I are now available in PDF format. See our Events page to see past and upcoming CLE events. The Belmont Law Review welcomes article submissions from law school professors and legal practitioners, as well as note submissions from law students currently attending Belmont University College of Law or another law school.